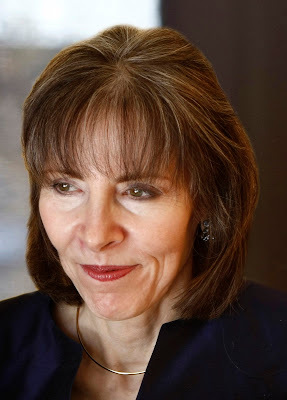 Anna Olswanger is a literary agent with Liza Dawson Associates in New York where she represents fiction and nonfiction, for young readers and adults. She is the author of Shlemiel Crooks, a Sydney Taylor Honor Book, Koret International Jewish Book Award Finalist, and PJ Library Book, and the just-published Greenhorn. Anna is the co-author of My Shoshana. Click here to read my review of Greenhorn. Because of her interest in Jewish-themed books, she has created a number of resources for Jewish book authors on her website, she has created a number of resources for Jewish book authors, including an interview with a psychiatrist about the meaning of Jewish narrative, and online discussion groups for authors and illustrators of Jewish children's books and marketing professionals in the Jewish book world. She has published several Jewish-themed miniature books for Judaica collectors. Anna is the rights holder and licenser for the music of Berl Olswanger, a Memphis composer of the 1940's-1960s. And, finally, through her work as a literary agent of children's books, Anna has developed a special interest in animal advocacy. Koko's Kitten and Looking for Miza are two of her favorite children's books—she recommends them to anyone who doubts the intelligence and emotional depth of animals. As a vegan and advocate of kindness to animals, she has compiled a list of links to organizations she is committed to and tweets about. She hopes visitors to this site will click on the links to the left and discover one or more organizations to support. My current favorite book is City Dog, Country Frog, which epitomizes what I've learned so far about life on this earth: that we love, that what we love can leave us, and that we can love again. The story could be a cliche, and yet, it moves me every time I read it—the innocence of the dog when he plays with the frog, the love of the frog in return, the frog who becomes tired and old, the sadness of the dog when he returns the next summer to find that the frog is gone, and the love that begins to grow between the dog and his new friend. The book is profound and beautiful. I could read it endlessly. And it reminds me why I love picture books, because they are little novels. As for my other two favorite books, I'll mention my books here, or what's an author interview for? So, my next favorite book is Shlemiel Crooks. My father was a wonderful storyteller. When he died in 1981, I yearned to hear his stories again about growing up in the 1920’s in the Jewish neighborhood of Memphis. If I couldn’t hear his stories again, I could at least learn more about the background of the stories and who his parents and grandparents were (they died before I was born), so I began genealogical research. What could be funnier than crooks who left with less than they came with! From that Yiddish article, I created Shlemiel Crooks (not Shlimazel Crooks like in the article, as I suspected that "shlemiel" was a more widely known word). After adding the ghost of Pharaoh, the prophet Elijah, and a talking horse to the story, I was in business. Shlemiel Crooks became a Sydney Taylor Honor Book and a PJ Library Book. And I discovered the added pleasure of being able to share my family's story with children, even though I had none of my own. My next favorite book (what's an author interview for?) is Greenhorn. I heard the real story of Greenhorn thirty years ago in Israel. The rabbi of my synagogue stood in the front of our tour bus as we approached Jerusalem and told us about a little boy who had lost his parents in the Holocaust, who wouldn't speak when he came to live at the Brooklyn yeshiva where the rabbi was in the sixth grade, and who wouldn't let a tin box out of his sight. The little boy made a friend in my rabbi. Later, the little boy agreed to live with his friend's family. And in the actual scene in the Afterword, the little boy, who had grown up to marry and have his own family, was finally able to bury the contents of the tin box in the backyard of his house in Jerusalem. I discovered through all those successive drafts of Greenhorn that I was writing, not about loss and loneliness, but about family. Through Shlemiel Crooks, I was able to share my family's story with children. Now, it was the same with Greenhorn, published just a few months ago. My grandparents' cousins, and their children who never left Eastern Europe, died in the Holocaust. I have no children to discuss my cousins with, or even the Holocaust that wiped out not just them, but two thirds of Europe's Jews. Through Greenhorn, I can take part in discussions between children, parents, and teachers about the Holocaust. The publisher has even made free guides available for parents and teachers to facilitate discussions. So, although I don't have my own children, I can share something I consider important with any child who reads Greenhorn. I write in the mornings. Because of the demands of my job as literary agent, I can only write a few minutes each day, but those minutes add up, and I feel that I'm always working on a project. I read during meals because that's when I can take a break from being on the computer. I yearn for pre-email days when I would lie on the couch and read before going to bed, sometimes staying up until 3 or 4 in the morning to finish a novel, but now I answer email before going to bed. I majored in theater in college and wanted to be a playwright. I wasn't happy with the MFA program I was in, so I went to London to try to start a theater and write for a group of actors. Before starving to death, I discovered children’s picture books in a large bookstore. What I discovered was that those little books contained a script, costumes, lighting, and stage set between their covers. I didn't need a theater anymore. So, when I was thinking about writing Shlemiel Crooks, I decided it would be a picture book. In the course of its submission history, it received over 100 rejections. The story did get published in Young Judaean magazine (and won a SCBWI Magazine Merit Award), but I had no offers from book publishers. I then decided to self-publish Shlemiel Crooks as a miniature book for collectors. And as soon as I did that (the universe has a sense of humor), NewSouth Books, an independent publisher, decided it wanted to publish Shlemiel Crooks. This wasn't the big New York publisher I had been waiting for but I said yes, and it's been a good experience. I've learned that money is not the only consideration in being published (there's little of that), and best of all, it's allowed me to pay honor to my great-grandparents and to share their story with thousands of children. I grew up in a household where my father, a professional pianist, practiced the piano an hour-and-a-half each day. I heard that rhythm every day of my life until he died, and I'm sure that it enabled me to hear the rhythm in language. So in that sense, I was born a writer. My favorite thing is revising. I love going back over the text again and again and getting it right so that it reads well on the page. My least favorite thing is getting the first draft down. I struggle hard to find the words and even to find the story. I don't really know what the story is until I get the words down on paper. If you accept that books can change the world, try to see the bigger picture: It's not just your book that can help change the world, but everybody's book. So, help someone else get published. That may feel a bit like sleeping with the enemy, but if you help bring one more book in the world, the practicality is that if the book sells, the publisher will want another book to sell, and that book could be yours. The market keeps wanting more. You are here to contribute to the universe in the way that is particularly yours. Why even consider chasing the market? Write the story that only you can write, not the dystopian, vampire, zombie, ancient gods, angels, demons, teenage secret spies book that others are writing. Shakespeare, though I'm not overly curious about the private lives of writers. We live in an intrusive world where no one is allowed to have secrets. It's a world where the private is public (witness people talking on cellphones in public about the most intimate aspects of their lives). I am content to let writers be. I don't need to know why they wrote what they wrote or how their books reflect their personal lives. I am happy that Shakespeare left no tell-all autobiography, no memoir. I think the man should (always) have his privacy. Great interview Anna is obviously very driven and deserving of her success.